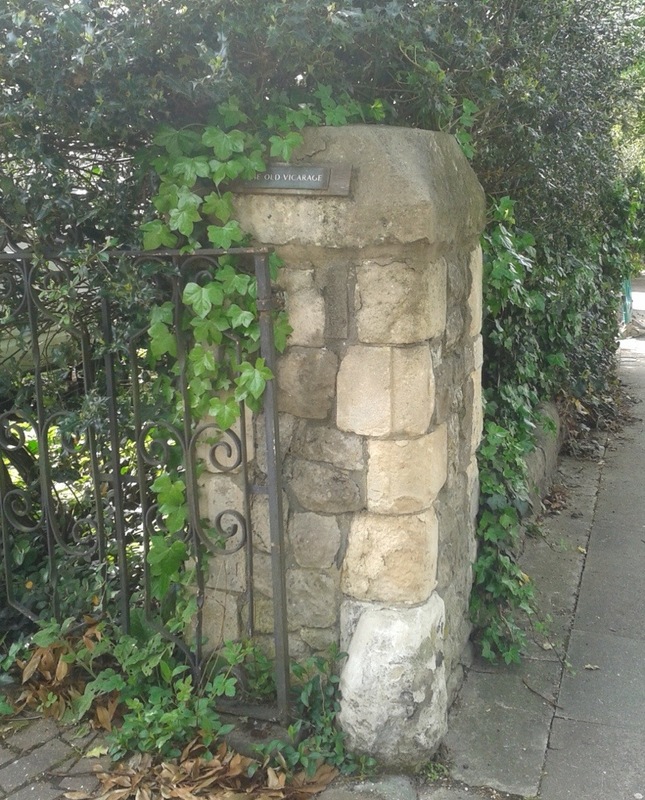 All that remains to indicate a former church is a sign on a gate referring to an Old Vicarage with a, probably, mid Victorian house behind it. The significance of the sign only becomes obvious when looking at 19th and early 20th century maps of the area where a church is clearly marked. It was located opposite to the southern ‘entrance’ to Lock Chase and its narrow grounds went back to Lee Road, just south of Priory Park. The ‘living’ for it was initially within the patronage of the St Margaret’s. The mid 19th century saw a considerable growth in the number of churches as London grew rapidly outwards with the railways; within the Diocese of London in the 20 years to 1856, 107 new churches were consecrated (1). While Christ Church being then in Kent, was in the Diocese of Rochester, the trends were the same there. 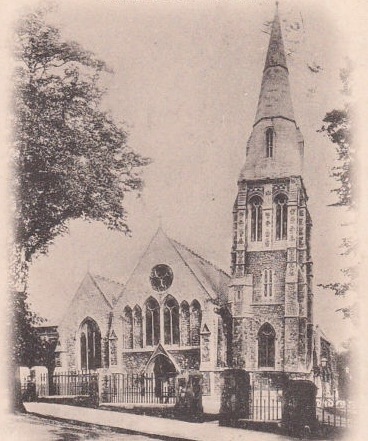 Within a mile radius of Christ Church, other Victorian churches include, St Michael and All Angels, Blackheath Park; St Margaret, Lee which was the replacement of a 13th century church; All Saints, Blackheath; The Church of the Good Shepherd, Lee; as well as the former churches of St Peter, Lee and Holy Trinity, Glenton Road. The church was badly damaged during a bombing raid on 17 September 1940; most of the building was demolished in 1941, although the tower and spire stood for another 3 years until they too were demolished. Some of the fixtures were obviously salvaged as some of its pews are now in St Swithuns on Hither Green Lane. Several of the neighbouring properties were damaged or destroyed – with the Commonwealth War Graves Commission reporting seven deaths in homes bombed a little further down the hill, including Ethel and George Crawford at 31a Lee Park, along with their daughter Ethel Pollard who was visiting. 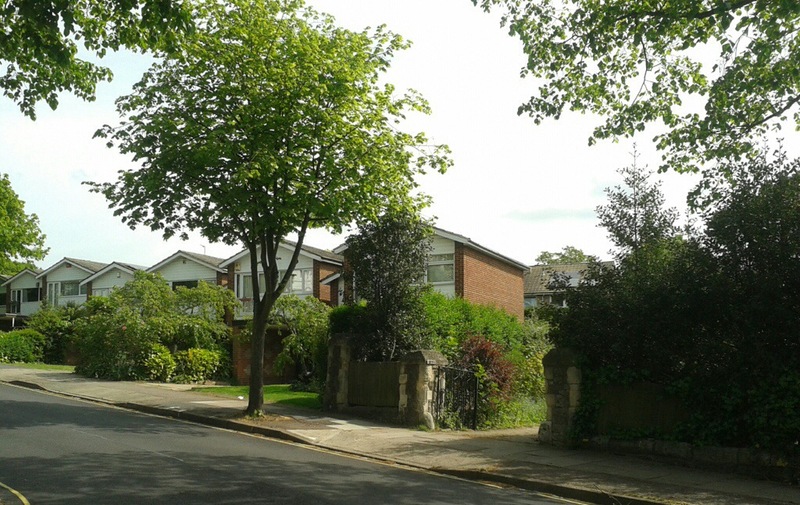 It seems that there were attempts to keep the parish going elsewhere, as marriage records continue until 1949; but the land was sold to the Page Estate in 1960 and the current housing built later that decade where the church stood. There is little on line information about the church, although there is a report of the dedication of the war memorial there in 1920, which named 41 local men who had died in the conflict. The memorial was salvaged although is in poor condition and not currently on display. There are a few other visible signs of Christ Church, or at least its parish boundaries. There are several stone markers on the roads in the Lee Manor Conservation Area showing the boundary between Christ Church and St Margaret’s Lee – towards the eastern end of Handen, Micheldever and Effingham Roads. One of the boundary markers was replaced by the Lee Manor Society in 2014. The originals were presumably installed before the parish of the Good Shepherd was formed in 1888. This entry was posted in Blackheath History, Lewisham History and tagged bombed churches, Christ Church Lee Park, Lee Park on May 14, 2014 by Paul B. The “Old Vicarage” looks more 18th Century to me. Is it possible that it and the surrounding land was acquired by the Church of England in the 1850s, a new church erected and the existing house converted into a vicarage? From memory, I think that the land was bought around the time the church was built – it was certainly largely paid for by the Northbrooks. The source for this is the local Victorian historian FW Hart, he wasn’t always that reliable on earlier periods, but he was reporting events that he was actually involved with.